Hello Blogger Friends & Chili Freaks On The WWW! ≈ Comments Off on Hello Blogger Friends & Chili Freaks On The WWW! 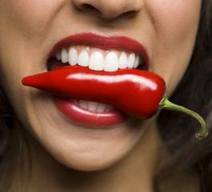 This is my first Blog post from me Errol Pierre-Davis, on my new blog called, love chilis, which is www.lovechilis.com … oh this is going to be sooo much fun, as I know that I will be messing up a whole lot, along the way. When President Barack Obama and Vice-President Joe Biden walked into Ray’s Hell Burger in Arlington, Va., last year, they weren’t just grabbing a greasy lunch. To hear some tell it, their choice of condiments revealed their souls. Biden got his burger with Swiss cheese, jalapeños, and ketchup while Obama asked for one with cheddar and Dijon mustard. Yes, Dijon. For me this was a seminal moment in the awarness and aspirational trend towards, people wanting to experience international flavours. The media frenzy surrounding Obama ordering ‘Dijon Mustard’ well for Chili Freaks like myself, was way funny. We do that with real Pepper 3 times a day every day right…. Myself having come from a colourful Caribbean heritage I natrually Love, Pepper Sauce, and it is that Love & sheer Passion for (chili, chilli, chile) and all things Hot and Spicy, that I want to share with the world. I hope you find this blog, helpful, informative, and most of all fun. It won’t just be totally about Chilli, it will have other boring stuff that interests me and also inspires me, and probably annoys the hell out of me too… It’s my journey rediscovering my cultural heritage and all the Chili flavoured discoveries in between. Hope u all enjoy, please feel free to comment (please try to keep it clean ;-)) ideas are most welcome, look forward to Spreading the Love….